One of the most exciting, yet difficult parts of wedding planning can be finding the perfect location for engagement and bridal photos. Utah is so beautiful, and it offers a huge range of natural backdrops for gorgeous photos. This week we will round up locations in or close to Utah Valley that will fit your personality and leave you with dreamy photos any time of the year! These beautiful white sand dunes are about an hour and a half away from Salt Lake, and they make the perfect excuse for a day trip with your wedding photographer. 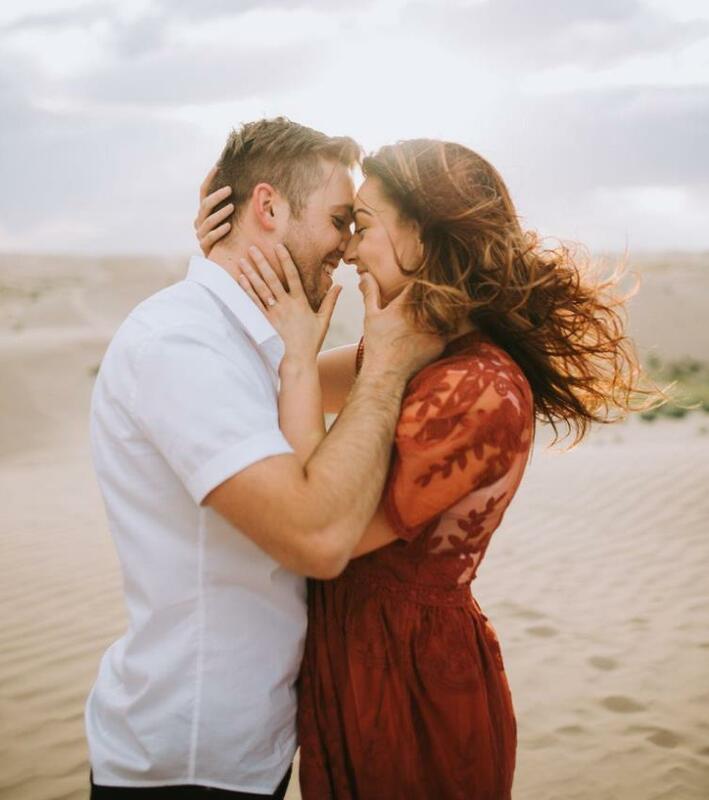 The dunes are open 24 hours a day all year long which means they are great for warm and glowy summer photos or cozy winter engagements with a desert twist! The Little Sahara is an easy backdrop to dress up for a more formal shoot or they add a modern touch to casual engagements! The Salt Flats are a must see, and are beautiful all year long! They are located a couple hours north of Utah Valley and are absolutely gorgeous in the evening. The beautiful white salt with dramatic cracks offers a simple background, and the mountains along the horizon often have a moody and romantic purple glow. 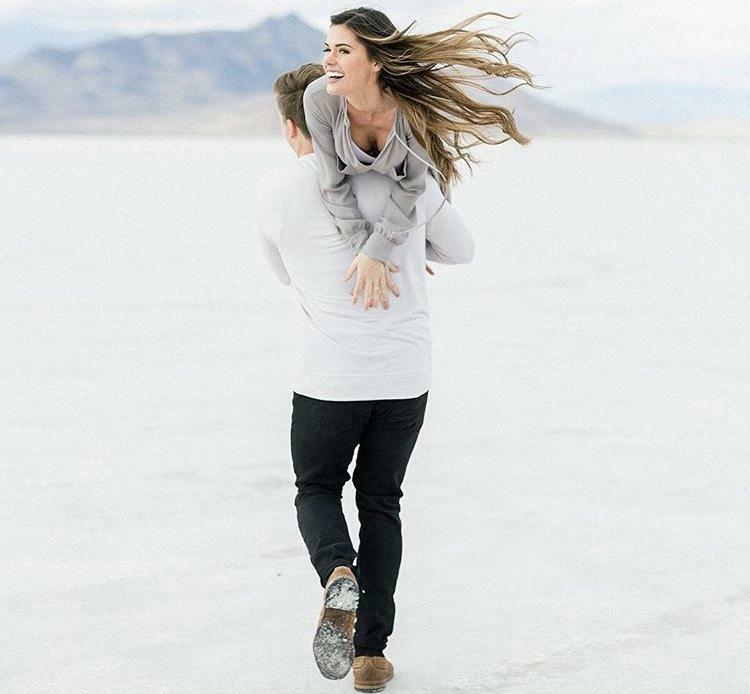 The Salt Flats are perfect for couples looking for simple yet unique photos! Tibble Fork is a true Utah treasure and so versatile for photos. From gorgeous photos on the dock of the reservoir to breathtaking views with pine trees above the reservoir, the photo opportunities are endless. Although the reservoir can get crowded on summer evenings, you will be sure to get plenty of space to yourself in the golden morning hours! Tibble Fork is perfect for photos that capture the true mountain scenery of Utah! 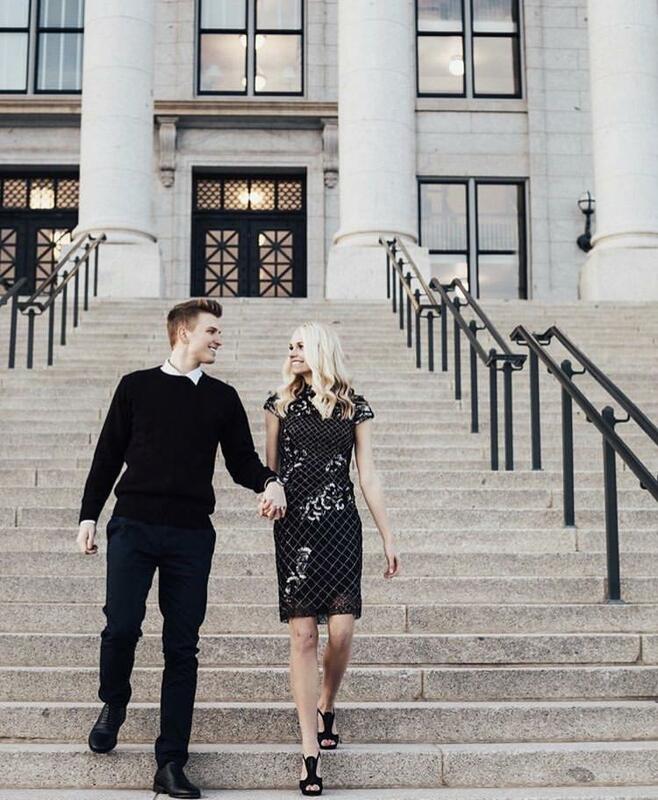 The Capitol Building is a highlight of Utah architecture and is perfect for couples looking for upscale photos! The Capitol Building is open to the public and boasts gorgeous marble walls and floors with gold accents. The building is picturesque on both the inside and the outside, and offers a variety of photo locations including the gorgeous trees just south of the building that bloom with amazing pink flowers every spring! The building is popular for shoots and events so make sure it is not scheduled before you go, other than that, you are on your way to timeless and clean engagements! What is your favorite location for Utah wedding photo shoots?